Statistically speaking, some 60% of the population haven’t made a Will. Of the 40% that have, around 20% of those need to review those provisions. Scary, isn’t it? For parents with children who have disabilities, there are no specific statistics on how many of them haven’t made a will but in my 14 years’ experience as a wills Solicitor, I would guess it it will be an even higher percentage than 60%. Over the years, I’ve given numerous talks on behalf of Mencap and other organisations, such as schools and charities, who support the parents of children with disabilities. I’ve talked about the issues which surround making a will when you have a child with disabilities and I’ve made many wills for parents in this situation, ranging from children with very mild to moderate disabilities to those who have very severe disabilities. In talking to many of these parents over the years, I’ve gained an insight into why many don’t act to make wills. In order to help other parents who may be in a similar situation, I thought I’d share those reasons with you, together with my responses. No-one likes to think of a time when they won’t be here for their children but for parents of children with disabilities, this can be even harder to think about. For most of us, when our children are adults in the eyes of the law, they can take care of themselves and whilst we may not be around, they will manage. 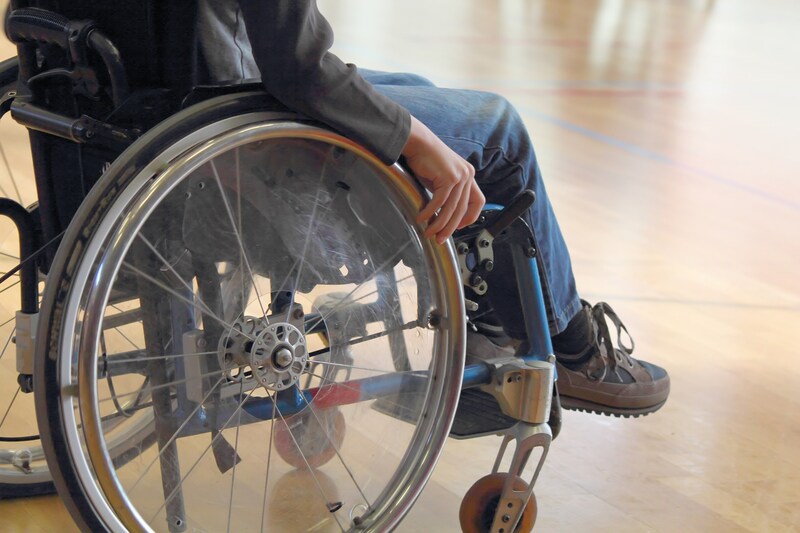 For those parents of children with disabilities, especially those with severe disabilities, it can be a real worry to think about who will care for your child as they may never be in a position to care for themselves. This tends to mean that parents just don’t think about it as it’s too upsetting for them to do so. They take the ostrich approach of sticking their head in the sand and no planning gets done. Answer: Whether you make plans or you don’t, the inevitable will happen. It is surely better to have a will in place setting out your plans for your child, so that you can rest easy in the knowledge you’ve taken care of everything that you possibly can for them. We all want to pass on our hard-earned money to our children and give them as much of a head start as possible but, when you have a child with a disability, it may not be as simple as that. If your child does not understand the value of money, this can be a huge problem as it may not be appropriate to leave them a large inheritance that they will not be able to manage. They may have no, or limited, skills to manage the funds or they may use it inappropriately. There is also the risk that they may become susceptible to third parties who may want to relieve them of your hard earned money. Answer: Trusts can be used to help provide for children who cannot manage funds themselves. Some children with disabilities may be reliant in the long term on means tested benefits. Therefore if they inherit money, they will have to declare this to the DWP and they may then lose those benefits. Many parents feel that they are giving with one hand and the DWP are then taking it away with the other hand. Some parents, therefore choose not to do anything as they can’t see the point in leaving anything to their child in this situation. Answer: Certain types of trust can be used to help provide for children who are in receipt of means tested benefits. The funds are owned by the trust and not the child, so their benefits are not affected, even though the trust funds can be used for the child. Many parents of children with disabilities feel overwhelmed at the thought of making a will because they don’t know where to start or how they will resolve the issues in making appropriate provision for their child. So instead of seeking advice, they do nothing. Answer: a good friend once said to me “You don’t know what you don’t know”, which is some of the best advice I’ve ever been given. How can you expect to make decisions about your child’s future if you don’t know what the law allows you to do and what options are open to you. Of course, you will feel confused and unsure. If my car makes a strange noise, I don’t lift the car bonnet and look at it thinking “How can I fix this? I don’t know how to do it!”. I call the local garage and have experts look at it and tell me what my options are. It’s really the same with making a will. Have a chat about your situation with someone who specialises in preparing wills for families like yours and they will give you the options that are open to you. Once you know the options, it’s generally very easy to make a decision. If you are a parent of a child with a disability, or you know someone who is, and you haven’t made a will, I can help. I offer an initial no obligation, no charge meeting to discuss your situation and to advise you about the options available to you, to help you make decisions so that you can begin the journey to properly protect your child and family. Rebecca Head is a Solicitor and Director of Four Oaks Legal Services and can be contacted on 0121 308 8231.